Framers are always looking for ways to increase profits. They’ll try just about any advertising idea, even having their logo emblazoned on placemats at the local diner, cash-register tapes and bowling score sheets. They’ll squeeze suppliers for discounts; I’m guilty of this one. They’ll walk around their shops switching off lights to save a few pennies. However, one of the easiest ways to increase profits is by analyzing the markups on the materials that go into a custom-framing order and begin placing more emphasis on those that offer the best profit margins. This business concept certainly isn’t new; in fact, businesses in every industry focus their sales efforts on their most profitable items. Supermarkets place their moneymakers at eye level on store shelves; Chevy and Ford advertise their pickup trucks more frequently than they do their cars. Why shouldn’t framers do the same? Many framers put most of their effort into selling low-margin products while ignoring more profitable items. Consider the major components that go into a typical custom-framing order and explore how to dramatically increase profits by shifting emphasis to selling products that are better for the bottom line. You can achieve these goals and give your framing more visual bang for the buck. I consider mats—not frames—to be the foundation of custom framing and the center of the custom-framing universe. Consumers can buy some fairly nice frames in a number of places, including art supply stores, online sources and even some general retail stores, such as Target. These frames are not as nice as the ones consumers can purchase from custom framers, but they are certainly adequate for many buyers. Custom matting, on the other hand, tends to be the exclusive domain of the custom framer. Mats add beauty, create visual depth and enable the framer to control color and space. Most important, mats are among the keys to your profit picture, producing both direct and, more importantly, indirect income. When it comes to direct profit, mats are the kings of markup, when you calculate on a percentage basis. I discovered that a $5 sheet of matboard can produce more than $100 in retail sales. I proved this fact by doing an experiment under controlled conditions, and, admittedly, it required cutting concentric openings in the mat. Although this approach is great for making a mobile to hang in a child’s bedroom, it doesn’t represent the typical yield. However, even if you get only $50 worth of sales at from a $5 mat board, you’d probably be pretty happy. When it comes to mats, however, the indirect profit has the greatest effect on both your sale and your profit, and that effect can be huge. Simply including a mat in a custom-framing order may increase your sale by as much as 35 to 45 percent. When you place a mat around a piece of artwork, you’re no longer framing the piece; you’re framing the mat. So, in addition to the price of the mat, the order now requires a larger frame, a larger mounting board and a larger piece of glass, all of which add to the total sale. For proof, try this experiment. Using a 24-by-36-inch print, a frame of your choice and your default glass type, price out the order without a mat. Then, add a single mat and once again price out the order. You should find a substantial increase in your sale. That mat can also produce additional profit by leading the way for add-ons, such as additional mats and upgrades to conservation-quality mats and fabric mats. But why stop there? Mats also open the door to fillets, decorative cuts and other embellishments. One of the best things about selling mats is that, while you’re increasing your profit margin, you’re also improving customer satisfaction. Mats provide great visual bang for the buck, and they put the “custom” in custom framing. And because the benefits of mats are readily apparent, they’re an easy sell, as long as you begin the design process with mats. For obvious reasons, it’s almost impossible to sell a mat after you’ve quoted a price without one. Mouldings will typically have varying markups, with lower-priced units typically receiving a higher percentage markup than more expensive mouldings. 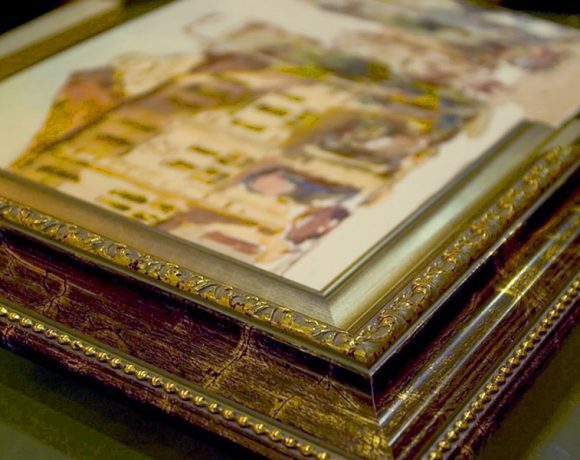 Because the frame is the most expensive component in most framing orders, frames account for both the largest cost of materials and the largest portion of each sale—but not always the most profit. To illustrate this concept, compare two design options for a piece of artwork. The first design includes a nice high-end frame but has no mats—only a frame and your default glass choice—and prices out at $400. The second design includes a frame that’s neither as nice nor as expensive as the first. 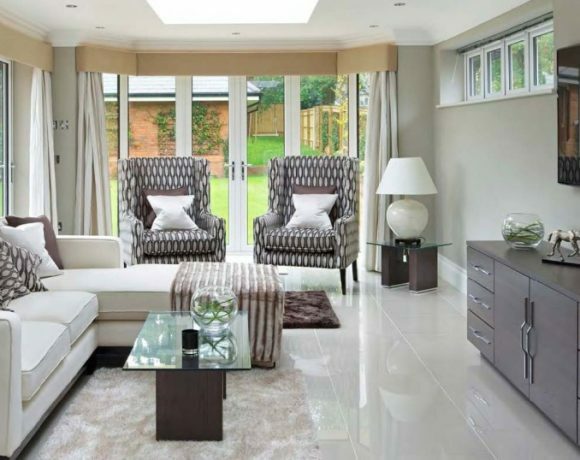 However, this option includes a double mat and the same type of glass you chose for the first design. This order also prices out at $400. On the surface, both designs may appear to produce similar profit margins, but not all $400 sales are equal. The order with mats and a lower-priced frame probably generates a significantly greater profit. the base price more affordable and leaves an upgrade path in place. It makes sense for framers to take this approach, too. Another thing to consider is that standard picture glass provides an attractive markup percentage that is second only to mats. Standard glass produces a healthy profit for you and is a budget-friendly option for the customer. Premium glass products, on the other hand, are more expensive, typically produce significantly lower margins and take a bigger slice from your customer’s budget. You should continue to sell these products when appropriate, but you should offer them as options. One final point is that framing components fall into one of two categories: those that enhance your designs by providing visual benefits and those that provide protection. Upgrades to archival products and all glass products typically provide protection. Buying them is somewhat like buying insurance. Not everyone wants to buy insurance, but it should be available for those who do. Customers should be the ones who make the choice. Analyze some of your recent sales to see whether you might be able to increase profits—and improve customer satisfaction—by changing sales emphasis. A few simple changes could provide a big improvement in your profit picture. Paul Cascio is the lead instructor for The American Picture Framing Academy. Cascio also provides business and sales training and consulting. I CANNOT use as a default regular glass. As a professional framer and PPFA member I provide conservation grade framing where glass is in front (virtually and physically) of a concept of conservation framing. My default is Conservation Clear from Tru Vue. And I always educate my customers on advantage of Museum glass. From my experience, only on a rare occasion they would settle on regular glass. I use few display samples to show the difference among different glass types. On a financial side, if you setup correct pricing structure, regular glass will be practically eliminated from your sales. It’s not about markup but about dollar amount. Thank you, Paul, for mentioning what I have found to be a good option: providing the regular picture glass as my default option for the last 33 years. As a sole proprietor in a small rural town, I buy 2 to 3 mini-pallets (2,000 lbs. each) annually. While I sell the UV-rated products frequently, the option has always been there for the entry-level customer and/or the shorter-lived decorative project. The options get them in the door, and the education and other products I provide make for happy repeat customers! I respectfully disagree with Leslie. As I stated before it’s my duty as a professional framer (and a member of Professional Picture Framers Association) to educate my customers. On a very rare occasion they would choose regular glass. Besides, it’s not just get them in the door, it’s also about not potentially damaging their art because of a wrong glazing.